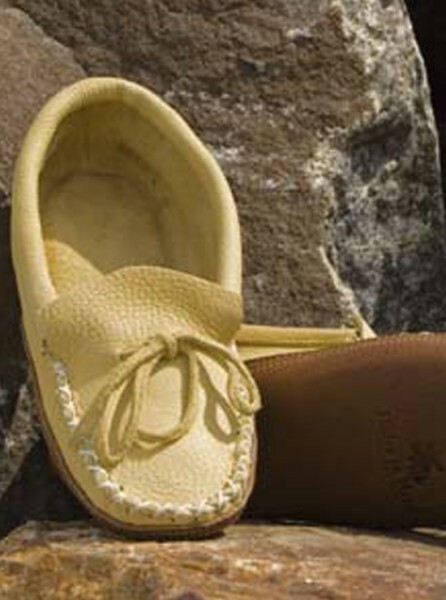 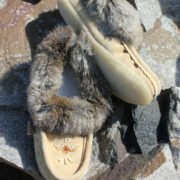 Our traditional moosehide moccasin now sports a buffalo hide sole. 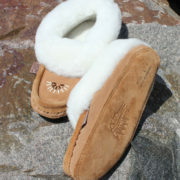 Still one of our most comfortable styles, the buffalo hide adds durability for limited outdoor wear. 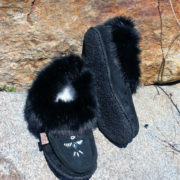 These fit large, please order below your shoe size for the best fit.